It’s strange it didn’t happen sooner: Honest Trailers has finally come out with its sardonic, blistering take on David Ayer’s beleaguered Suicide Squad, the star-studded movie that was supposed to right DC’s ship and definitely did not. Honest Trailers creator Andy Signore and his writer have plenty of fun pointing out all of Suicide Squad’s faults and failings. Before even turning his attention to the movie itself, gravelly voiced narrator Jon Bailey has a few choice words for the panicky, bumbling studio executives at Warner Bros., who insisted on desperate recuts and reshoots before this film ever reached audiences. And Ayer made things no better when he publicly lashed out at rival Marvel. These folks constituted their very own suicide squad of sorts. And that “Worst Heroes Ever” tagline seemed to be a self-fulfilling prophecy. As for the movie itself, Honest Trailers points out that it is heavy on exposition, with characters going out of their way to explain plot points and motivations to one another, but light on anything approaching coherence or fun. And, boy, does this movie hate helicopters. Stars Margot Robbie and Will Smith do receive some kind words, with Bailey saying that Smith in particular does whatever he can to save this train wreck. 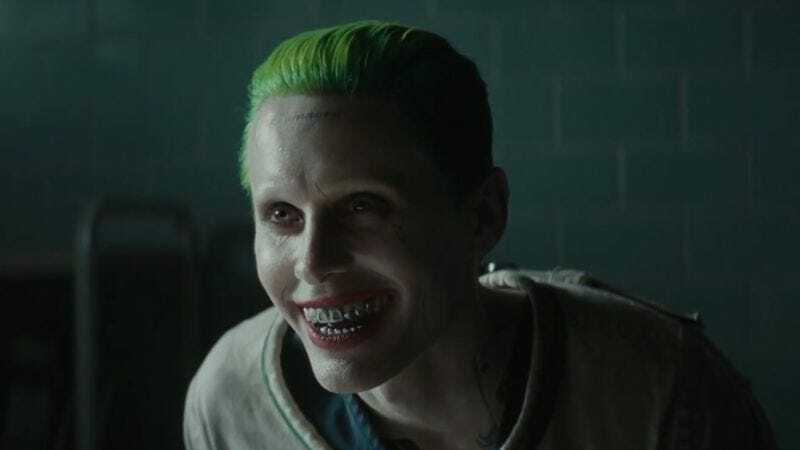 The video’s sharpest, funniest material is aimed at Jared Leto, whose tattooed Joker, memorably described here as a “manorexic Juggalo,” appears in the movie for all of 10 minutes and has no real effect on the rest of the story whatsoever. Leto’s acting, meanwhile, is compared unfavorably to James Franco in Spring Breakers and Jim Carrey in Ace Ventura: Pet Detective. But Leto is just part of the problem. The movie cribs too many ideas from other recent superhero movies, while its soundtrack is a constant distraction. The trailer sums up all of the movie’s problems by giving it an all-too-accurate new title: The Boondock Taints.